With the release of Tim Sullivan’s 2001 Maniacs: Field Of Screams, Moseley looks set to add yet another barnstorming oddball to his already engorged menagerie of freaks. 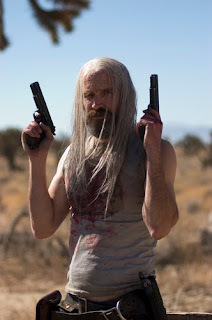 Head over to Eye for Film to check out my interview with Mr Moseley, in which he discusses his career to date, including his latest role in 2001 Maniacs: Field Of Screams, as well as his love for horror movies and how he deals with playing such usually very dark and disturbing characters. Time for fangirl squeals on my part; I love Bill Moseley, first and foremost in his work with Rob Zombie. He was lovely! Very friendly and as big a horror nut as I am. Making the jump as we speak James!